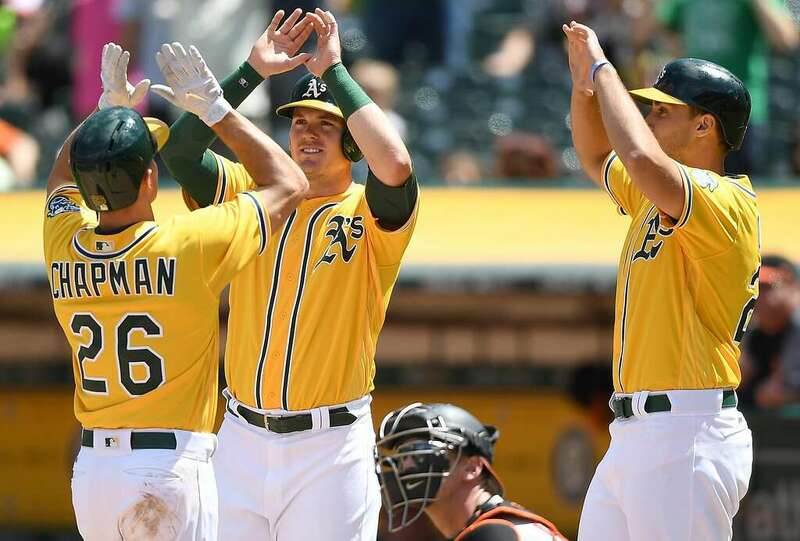 Matt Olson hit so many home runs at the end of last season in Oakland…that you probably didn’t notice (since no one watches the A’s, get it?). 24 bombs and a 1.003 OPS in 216 plate appearances is no joke. Olson also has a 37 homer minor league season (in A+), a BB% rate in the minors in the mid-high teens, a K% around 25% and an OPS in the high .800s. All those numbers look Fantasy ready. Olson was a supplemental first round pick in 2012 (pick 47) and is starting at first (while qualifying in the OF for Yahoo!) for the A’s hitting fifth right behind Davis. Going into his age 24 season let’s see how 30+ homers and an OPS over .830 suits your team. Right now he’s ranked around 130 overall depending which site you like; Grey has him as the 36th OF and 22nd overall 1B, so he doesn’t have to be starting for your team (in Yahoo! I want him as my third OF) and if you’re in a league with a Corner Infield spot he slots in there nicely too. The closer we get to draft day the more I think we’ll see Olson creep up draft boards; by draft day depending on his spring we could see him going in the 7-8-9th round of 12 teamers and even higher in OPS and OPS & AVG leagues. Get in while the getting is good I always heard and now I’m repeating it so it must be true. Next up his partner across the diamond, Matt Chapman. He’s the A’s third baseman, former first round pick, lede of the July 28th, 2017 edition of OPS Leaguers Unite, and all around good guy (hopefully, I don’t know him). When I mentioned him then he was striking out at a rate of 36% (not good) and for 2017 he had a K% of 28.2% (still, not good, but better). So what did we learn? He cut down on his Ks throughout the end of the season. His walk rate was just a hair below 10% which jived with his minor league percentage. Chapman’s ISO was pretty decent at .238, and he hit 14 homers in 326 PAs. Combined AAA and Majors he hit 30 homers last year, so the power is there. He’s also a plus defender so that should keep him on the field, even if his average isn’t the greatest. OPS-wise he also needs work. A .785 at the hot corner, even with 30 homers, isn’t starting (but for off days and when he goes on streaks (like the homers in three straight games last season, you’ll want to play him). If he can get to an .820 (which makes me more hopeful than most) he’ll be filling the UTIL spot on your roster in no time. 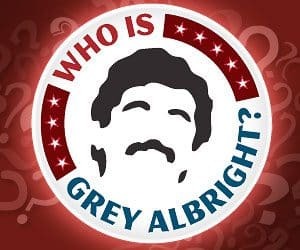 There’s little risk in Chapman; as of right now he’s the 32nd ranked 3B on Fantasy Pros, Grey has him at 31, and he has an ADP past 275 on every site. He’s a bopper with a glove. Use him as such. Draft him toward the end (or if you’re in a shallow league add him once he starts a HR binge) and thank me later. Chapman at this moment has a mild soreness in his right hand palm (I like how specific MLB got on this; if it was a football injury they would call it a hand and make it seem like that’s acceptable), but there’s plenty of time to let that heal before the regular season starts. I like the above picture because it looks like Olson (on the right) is getting dissed for a high ten (which doesn’t seem right at all. High five sounds right. High ten, eck). The guy getting some love from Chapman was featured prominently here last season, former A and current Mariner Ryon Healy. I’m a big Healy fan, so looking through my past posts there’s a better than 50% chance Healy’s mentioned (probably, I’m not checking). Healy is hurt right now and not swinging a bat as of this moment, but he’s going to be at some point this season (late April hopefully) and he’ll be worth this pickup. Lastly: I’m going to try and make an A’s game this year, anybody have any tips/advice/stuff to avoid at a game? Next week we’ll start the tiered OPS rankings like last season leading up to the start of the regular season. If you’re interested in a buy-in OPS 5×5 league on yahoo, leave a comment and I’ll invite you. Razzball Commenter Leagues are up, join one here. Until next week, take care of yourselves out there Razzballers and Razzballettes! I was out in Oakland and took in a game a few years ago and if you do go to a game, be sure to take the BART there. The walk from the BART station to the stadium is something you won’t experience at any other stadium, I can promise that. @Jbona3: Went to a game in 1969 in Oakland when I was stationed at the navy base in Alameda, California. Reggie Jackson I believe was a rookie. @OldNavy: that must have been a time, how’d you like it? Ever been back? @Phil B.:nothing like that chicago L. Long Live the Red LINE!!!! 16 team, OBP and SLG league (not combined OPS, nor AVG), Would you keep him for $6/$16/$31, or just spend $11 and wait and see after this year? If not those two, then I’m hoping I will be able to draft him for somewhere between $5-$10. I can only keep 3 keepers, right now i have judge and ozuna, so Olson as my 3rd OF would be pretty lit. As far as A’s games go, I’ve been to a ton of games at the coliseum and plan to go to many this year. if you want any advice, hit me up on the razzball soccer side and I’ll shoot you my email address! @Cafuné: Will do, thanks dude! That’s a toughie on Olson, but I think I’m with you, let him go back and see if you can get him cheaper. The love isn’t there in fantasyland as far as when I went looking at other rankings but sometimes we zig when others zag. If you’re prepared to pay up to $11 you’ll get him. our structure for keepers is based on the manager deciding whether to extend a contract or just keep the player on a year to year basis. -1 year keepers are subject to $10, $15, $25 yearly price rise. if you draft a guy for $5, the next three seasons he goes up with those values, unless you decide not to keep him, at which point he goes back to the pool, no penalty. The impetus was to avoid people hoarding players for too many seasons in order to keep the draft pool freshly stocked. This is actually our first keeper season after a reset and many years of an old fashioned keeper style. @Cafuné: wow, I love it. I may have to implement some of that to my home keeper league. We do run into the problem where you get a guy cheap and he becomes a star and he’s still relatively cheap for years. Turnover is good for a league, unless it’s a dynasty. The Trappist in downtown Oakland is one of the better Belgian beer bars that I’ve ever hit up. From there, you can walk to the Lake Merritt station and take the Bart two stops to the coliseum. @Raj: very interested in a Belgian beer bar, I’ll be hitting it up! Thanks! @Phil B.: 100% second going to the Trappist. A few other really good craft bars to go to are The Good Hop, Diving Dog and Beer Revolution in Uptown Oakland. All three are close enough to 19th street BART station that you’re not far from the coliseum. @Cafuné: so many breweries, can I find mist on the bar taps you mentioned assume… Any to avoid? If you still need someone for the OPS league let me know. Big Olson fan. Breakout coming! If you go to the A’s game make sure to visit the beer garden and food trucks in Championship Plaza. Cool area there with music and picnic atmosphere with lawn games, last year Dave Kaval would spend time talking to fans and see how the experience was for them. Probably not getting Olson in my home league because other A’s fans will jump on him, Khrush Davis, and Sean Manaea way to early for my liking. My goal is to draft if possible Trey Mancini and Matt Olson. Both qualify at 1b and OF, and both will be of2 and of3. Would both this combination of OF2/3 be workable, or would it be limited? my league tends to go draft SPs early, so maybe Mancini and Olson would be my OF1 and OF2, if I cant manage to draft a top OF. @Chris: I’d still target a top OF. Love those guys as 2 and 3,but not 1 and 2. Like a Yelich type. Especially since they won’t help a ton in a couple of the categories.